Falling in love in the world’s most romantic city is easy for hopeless dreamer Isla and introspective artist Josh. 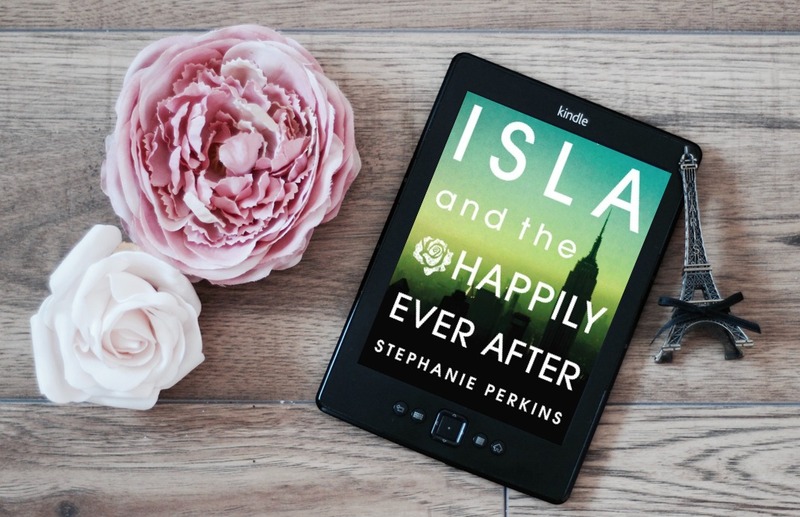 But as they begin their senior year at the School of America in Paris, Isla and Josh are quickly forced to deal with the heartbreaking reality that happily-ever-afters aren’t always for ever. Isla and Josh’s romantic journey is skilfully intertwined with those of beloved couples Anna and Étienne, and Lola and Cricket, whose paths are destined to collide in a sweeping finale certain to please fans old and new. I cannot tell you how happy I was to finally read this book. Ever since I read Anna and Lola, I’ve been waiting for Isla’s story. It was so worth the wait! I ended up staying awake until after 2am as I couldn’t put it down and just had to finish it. Reading it was bittersweet, knowing that one of my all time favourite trilogies was ending *sad panda face*. Set against the backdrops of Paris, New York and Barcelona, Isla and Josh fall head over heels for each other. But the course of true love does not always run smooth, and there are challenges to be faced and decisions to be made, some of which threaten to destroy their happily ever after. I can only say one negative thing about this book: I wish we got to see more of Anna and Étienne! We do see a little of them, and it’s a fantastic little bit too. Meredith, Lola and Cricket are there too but blink and you might miss them. This did make me sad as what made Lola so great for me was the way Anna and Étienne were woven through the story. Having said that, this wasn’t their story and rightly so, the focus remained on Isla and Josh. Did this make my heart happy? You bet it did! A perfect end to a perfect trilogy.